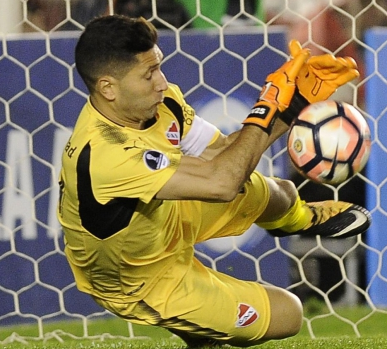 Martin Campana is a Uruguayan footballer who plays as a goalkeeper for an Argentine club, Independiente and also represents his Uruguayan national football team. His jersey number is 25. Martin Campana full name is Martin Nicolas Campana Delgado who was born on 29 May 1989 at Maldonado, Uruguay. He carries a Uruguayan nationality and belongs to white ethnicity. He was a great fan of Diego Maradona. As other Celebrities he has not mentioned the information about his parents and siblings. Moreover, he also has not mentioned about his love life. In 2006, Campana started his career on football by joining the Youth Academy of Deportivo Maldonando. Campana’s professional club career started in 2008 after joining the Uruguayan Club Cerro Largo in which he played for 69 times. And also he made his professional debut in 2008. Campana was loaned to Racing Club de Montevideo but due to some problem he was moved to Defender Sporting on loan in which he appeared for 68 games in 5 years. Campana also played for an Argentine club, Independiente when he signed in 2015. Campana has a great experience playing as both senior and junior levels. 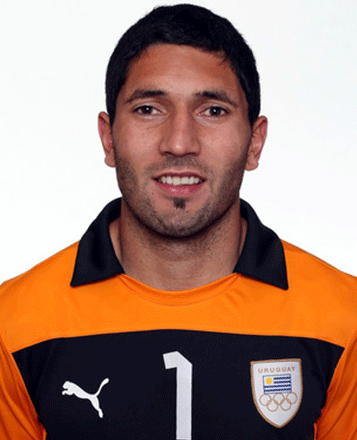 In 2009, Campana was part of Uruguay under 20 team squad at 2009 FIFA World Club which was held in Egypt as the third goalkeeper. In 2012 Campana was called by Oscar Tabarez for 2012 Summer Olympics which was held in London, Great Britain. In 27 May 2016, Campana debuted for the senior Uruguay National Football Team. So far, he has won more than 5 caps for his national side. Campana was named in Uruguay’s provisional 26-man squad in May 2018 for 2018 FIFA World Cup and he is playing in the match. Martin Campana is quite secretive about his personal life regarding relationship status. From the source of his Twitter account, he is a married man with Valviera. As of 2017, his net worth is $1 million. His annual average salary is $46,000 from his current club. His astrological sign is Gemini. He has height of 185 cm with 75 kg weight.